Cheap foreign labour is a drug indeed. But is it a Panadol? Or is it a morphine? …and even if it is a morphine, how is it being used? Try as we may, national productivity did not improve over the last few years. As the country goes to Budget, one priority for policy makers must be to improve productivity. And tied very closely to productivity, is the discussion on foreigners. a.) Tighten manpower so much that employers must hire locals, thereby leading to better wages. This is the Employee’s view. b.) Liberalise foreign manpower so that businesses can produce more and contribute to better GDP. This is the Employer’s view. Labour and economy is best understood using the Taoist concept of Yin and Yang. It has to be in perfect balance. “It is precisely because of foreign manpower that we are prosperous”, said George Wong, a sociologist (and a friend of mine). “Because it is about certain jobs that will never get filled up by Singaporeans because we no longer have a sizeable form of working class which have a working culture in certain industries”. Putting it crudely, we have been indirectly exploiting Malaysians for many of the not-so-popular occupations for so many decades. Singapore’s talent pool is inherently small and many industries require workers to have gone through long periods of training and experience before they can confidently hire you. With few people and little time, what can a company do but to seek talent from abroad?…or move out of here. To say that “foreigners are to be blamed for Singapore’s poor productivity”, is a convenient excuse. We can blame foreigners because we know that they are the easiest target, the low hanging fruit in a game of politics. “If you look beyond foreigners, there is a whole host of problems; some are caused by state policies, others due to shifting economic forces which Singapore as a small state cannot do much other than to position itself accordingly.” said George. So yes – cheap foreign manpower is a drug. But for some industries, this drug is a Panadol that will help them heal from overheated demand. For others, it is a medical morphine…a temporary palliative to solve Singapore’s problems before their industries die off. 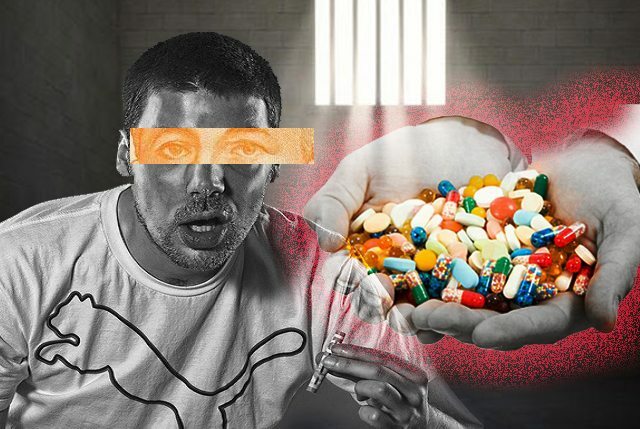 It is only in some sectors that it is a recreational drug – hooked on making their companies feel good about themselves, but with little value to the Singaporean host. Singapore is changing, we are an expensive place for companies to operate. Manpower and infrastructure costs are high. We have our selling points, but as more and more countries in our region become increasingly attractive, we’re going to need more than just drugs to stay alive. Our businesses also need to shape up, to make themselves manpower lean, to cross-train their workers and to figure out which machines/technology would build up their productivity muscle. It is just as important for our people and businesses to maintain a “healthy business lifestyle” than it is to depend on reactionary drugs. Well put yet again, Benjamin, and I especially like your yin and yang analogy. Your article seems to focus primarily if not exclusively on foreign labour. How would you respond to some of the bitter criticism we’ve all heard directed against foreigners in the professional and managerial categories? Could some of this criticism be justified and if so, what possible solutions would you recommend?